The Grove GMK5175 lifts the frontwall section of an industrial kiln. 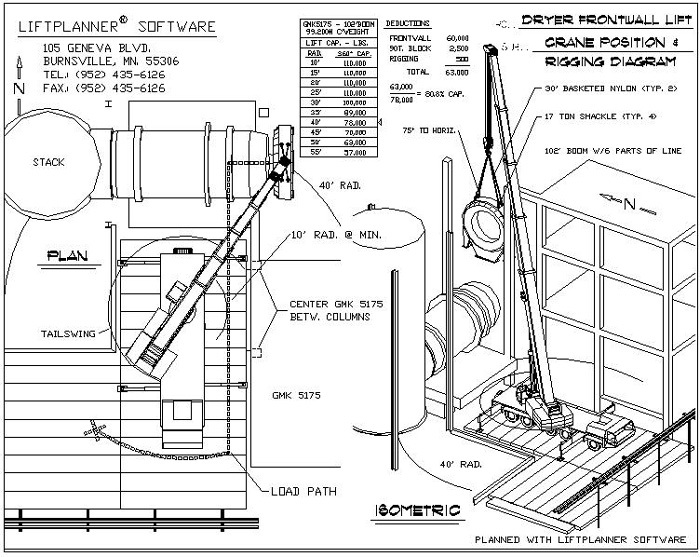 Any unusual load geometry can be created in LiftPlanner. Everything is precisely represented so that interferences and problems are eliminated in the computer planning stage. If it works in the computer - it will work in the field.